Tuesday, February 19 at 7:30 p.m. ~ Choir Rehearsal in St. Charles Hall. Wednesday, February 20 from 5:30-6:30 ~ Pizza Supper in St. Charles Hall. 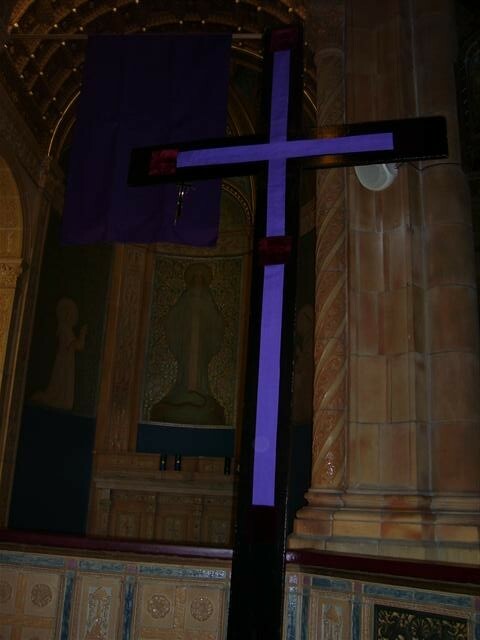 Wednesday, February 20 at 7:00 p.m. in church ~ Prayer Around the Cross. Wednesday, February 20 following Prayer Around the Cross ~ Parish Council Meeting in St. Charles Hall. Thursday, February 21 at 8:00 p.m ~ Bingo will be played in St. Charles Hall. Saturday, February 23 at 8:00 p.m ~ Bingo will be played in St. Charles Hall. Sunday, February 24 following 10:00 a.m. Mass ~ Ladies Sodality Meeting in St. Charles Hall. Monday, February 18 ~ Communion Service at 11 a.m.
Wednesday, February 20 ~ Prayer Around the Cross at 7 p.m. The Parish Council will meet on Wednesday, February 20, in St. Charles Hall following Prayer Around the Cross at 7 p.m. (in church). Sodality General Meeting ~ Our Ladies Sodality will hold its next general membership meeting in St. Charles Hall on Sunday, February 24, immediately following the 10 o’clock Mass. All women of the parish are welcome. Congratulations to Sister Peggy Gallagher, Fran Cahill and Roberta Evans, the winners of The Ladies Sodality’s February 10 Mardi Gras raffle. The Sodality is grateful to all who supported this fundraising effort through the sale and purchase of tickets, and everyone who baked or purchased baked goods. The proceeds of nearly $1300 will directly benefit the parish. We are especially appreciative of the generosity of Bill Warren and Hertel Parker Liquor who donated the “cheer,” and an anonymous donor who purchased the grocery store gift cards. Two Soup Suppers … Two Pizza Suppers… Will they be on your Lenten schedule? We invite you to prepare and share with us your favorite soup and/or cookies/bar cookies. Please indicate your contribution as soon as possible on the sign-up board near the piano. Enjoy Soup Suppers on Wednesdays, February 27 and March 6. Our first Pizza Supper will be Wednesday, February 20. Many thanks to Amy Johnson who has offered to coordinate our Soup Suppers! Catholic Charities ~ In its second year, Catholic Charities “Get Real. Give Hope. Challenge” is a way to connect with us and learn more about us on social media and through the act of giving during March. You can join in on the fun through Facebook for a chance to win prizes and spread the mission of Catholic Charities by giving hope in your own way. Visit http://www.facebook.com/ccbuffalo to learn more and register today. Protect. Strengthen. Empower. Please give to the 2013 Catholic Charities Appeal. Find out more at http://www.ccwny.org or call (716) 218-1400. A Message from Family Promise ~ Ss. Columba-Brigid wants to thank all the volunteers that cooked and visited with our guests from Family Promise. We logged 261 volunteer hours!! Our next Hosting week will be Friday, March 22 through March 28. If you have any questions, feel free to call Paula Hunt at 348-0154 or email to paulahunt57 [at] verizon [dot] net. 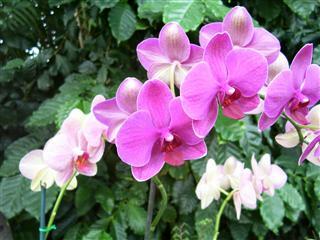 Orchid Show ~ If you are looking for a breath of spring, why not visit the Niagara Frontier Orchid Society’s spring show at the Buffalo and Erie County Botanical Gardens, 2655 S. Park Avenue (near Ridge Rd. ), Buffalo 14218. The show runs Saturday, February 23, from 10 a.m. – 5 p.m. and Sunday, February 24, from 10 a.m. – 4 p.m.
Lenten Series: “From Exodus to Easter” ~ The Catholic Biblical Studies Program will offer a Lenten series at 2 locations beginning in February. This program will take a “slow walk” through the Book of Exodus to realize what is beneath the surface of this foundational story. This FREE 5-week Lenten Series will be held at the following locations: Wednesday evenings at St. John Vianney Church, 2950 Southwestern Blvd. Orchard Park, beginning at 5:30 p.m. with Mass, followed by a soup supper, then the talk. Feb. 20, 27, March 6, 13. Friday mornings from 10:30 – 11:45 at the Newman Center, 495 Skinnersville Rd., Amherst. Feb. 22, March 1, 8, 22. If you would like to enrich your Lenten experience, please consider attending this series. Call St. John Vianney Parish at 716-674-9133 or the Newman Center at 716-636-7495. A Lenten Fish Fry will be held on Friday, February 22, 2013 from 4:00 to 7:00 p.m. at Blessed Mother Teresa Parish, 496 Terrace Blvd., Depew. The dinner is prepared by BW’s Barbeque and includes: battered fish, French fries, macaroni salad, cole slaw, rye bread/butter, tartar sauce, beverage and dessert. Tickets are: Adults $9 (presale) and $10 (at the door) and Children 12 & under $6 (presale) and $7 (at the door). For tickets, please contact Evelyn at 479-2089 or Mary at 668-5118. Thank you for your support of this event. 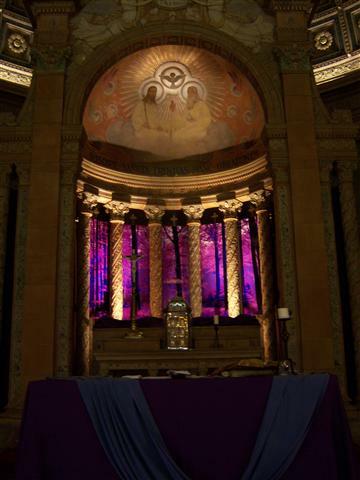 Lenten Taize Prayer Service at St. Timothy R.C. Church, 565 East Park Drive, Tonawanda on Thursday, March 7 at 7 p.m. A Taize Prayer Service features music, song, meditation, scripture readings and prayers and is a beautiful, inspiring way to spend an evening with Jesus and our Christian brothers and sisters and to experience the spirituality and beauty of Taize as we prepare for our Lord’s Passion, Death and Resurrection. There will be time for fellowship after the service. For more information contact Music Director, Sandy at 875-9430.